*Please keep in mind that these times may fluctuate but we will do our best to keep you all updated if there are changes. 9:15 am - 9:45 am - Camp Coffee Contest - turn in is at 9:15 am at Presentation tent - Make your favorite cup of coffee, your favorite way and turn it in to see who is camp coffee King or Queen! 5:15 pm - 5:45 pm - GEAR SWAP MEET - Have some gear lying around you are ready to get rid of? Bring it and put it out for people to peruse! Bring your wallet Tentative 2018 Expo Schedule TEXAS FALL OUTDOOR EXPO·WEDNESDAY, SEPTEMBER 19, 2018 too! Following the presentation we will move right into prizes and following that, join us for a great time sitting around the fire for an epic meet and great! *There are no organized events scheduled for Sunday nor will booths or food booths be open. Please feel free to join us, should you choose, for a morning prayer service at the presentation tent at 10:00 am. 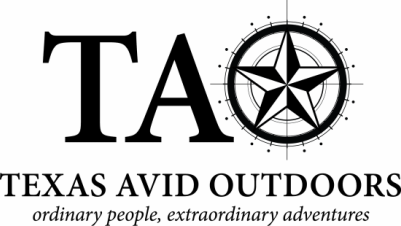 Texas Fall Outdoor Expo is the only Overland/Expedition centric event in Texas. Each year this event has grown in terms of attendance, vendors, and exposure and while there are bigger events out there, few can rival the combination of amazing vendors, beautiful location, and a grass roots feel that is inclusive to all walks of life. We offer hands on classes, an intimate feel to our trade show that lets you get up and close with each vendor, an experience geared towards the entire family, and a sense of community where vendors, presenters, and attendees intermingle with each other to create a sense of true community. We are proud to once again call Oxford Ranch Campgrounds our home for the Fall Outdoor Expo. Oxford Ranch offers a glimpse of the beauty that defines the Hill Country of Central Texas. There is plenty of room to spread out if you want some privacy as well as areas to set up in groups. Enchanted Rock State Park is nearby as well as the quaint town of Llano which offers restaurants and lodging if needed. For those who want something a little more refined, Austin and San Antonio are less than two hours away. Preregistration is closed for this year. Tickets will be available at the gate both Friday and Saturday. See you there!